Thank you for providing me the opportunity to talk about the human rights situation in Vietnam through my lens. My journey started when I was living in East Berlin in 1989 and witnessed the fall of the Berlin Wall with my very own eyes, followed by the collapse of East Germany and the revolutions in Eastern Europe. It was this time that my faith in socialism and communism also collapsed as I awoke and saw its evil nature. At the end of 1990 when I was just 20 years old, I decided to return to Vietnam with the hope that I could contribute to bringing democratic change in my home country. I graduated from Law School in 1995 and became a Christian and human rights lawyer in 2000 to defend Protestants within the H’Mong ethnic minority and Pastors leading Protestant congregations which were not recognised by the Vietnamese government. In 2006, I founded the Committee for Human Rights and an independent union in 2006. I was a frequent contributor for BBC Vietnamese promoting political plurality in Vietnam. I opened classes for students to learn about their political rights and press freedom. It was on 6 March 2007, when one of my colleagues was teaching a few students at my office, that security forces barged in and arrested us. At my trial, the court argued that Vietnam was a one-party state and my promotion of political plurality was conducting propaganda against the state. Discussing press freedoms was seen as opposing state media and conducting propaganda against the state. This resulted in me being sentenced to 4 years in prison and 4 years house arreste for conducting propaganda against the state under Article 88 of the Penal Code. I was detained for more than 10 months at Detention Centre 1 in Hanoi. Everyday they gave us dirty, unwashed vegetables, often with leeches and slugs. We had to wash it with the dirty water we were provided before we could eat it. We would only receive about 100 grams of meat a week. After I was released from prison in March 2011, I continued my human rights activism. 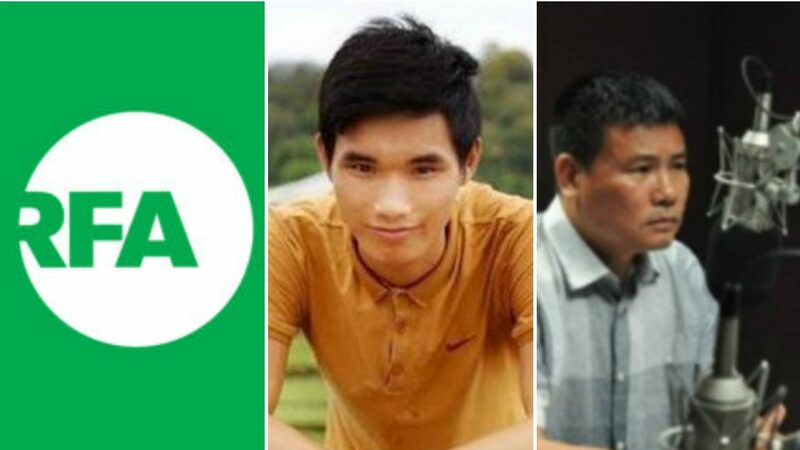 In April 2013, myself along with a few other human rights activists founded the Brotherhood for Democracy, a civil society organisation promoting human rights and democracy in Vietnam. I continued to conduct teach ins about civil society and human rights for students and Catholic communities. On 8 May 2014 5 plain clothes policemen beat me while I was talking with a group of students at a coffee shop, leading to a broken scalp which required four stitches. In January and March 2015, police harassed me three times while I was at home. I wasn’t allowed a passport after my house arrest ended on 6 March 2015. Every month police would monitor me and not permit me to leave my house for up to four days. 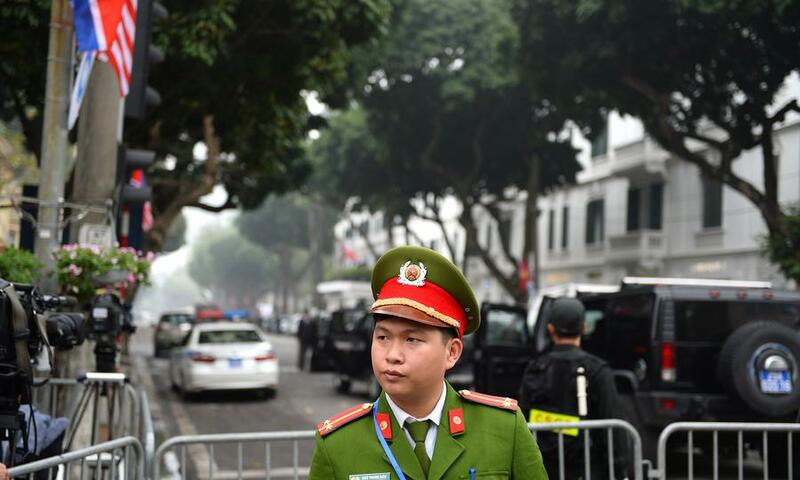 After conducting a teach in for 70 Catholic parishioners on 6 December 2015, my three colleagues and I were ambushed by 20 policemen while on our way back to Hanoi. Our taxi was stopped and we were physically attacked, had all our possessions taken including our jackets, ID documents and papers, phones before stranding us on a beach in the middle of the cold night. 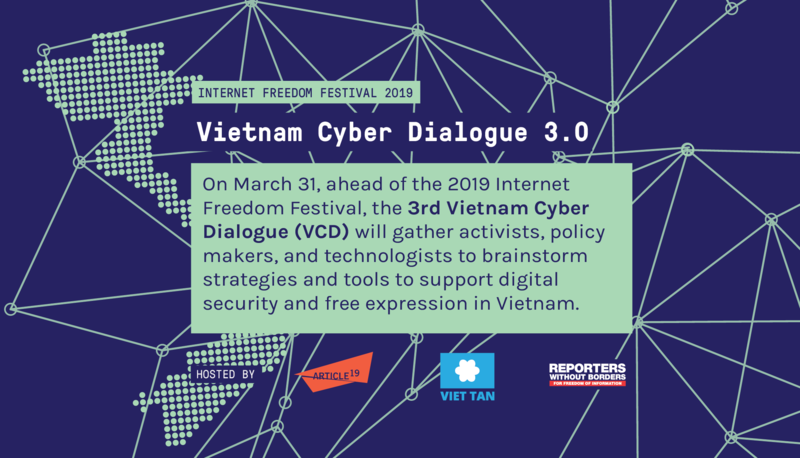 9 days later, I was arbitrarily detained while making my way to see the EU delegation prior to the EU-Vietnam Human Rights Dialogue. After more than two years of pre-trial detention, my five colleagues and I were trialled on 6 April 2018. We were charged for building the foundations of a democratic Vietnam which in turn, was overthrowing the government. I was sentenced to 15 years in prison and 5 years house arrest. I only saw my wife for the first time after 11 months of pre-trial detention. I would have to wait for another 3 months, then five, then four then nine months. I only saw my lawyer for the first time after 26 months of detention, lasting only an hour while under constant watch of police. Throughout these 2.5 years, I never saw the sun. I was held in a small 6.5 metre squared cell with another person. During this time, I had to eat raw rice grains for more than 20 days. The food was often stale or they would put soap in our soups or provide us with water with an unbearable stench. We were given our medications in the middle of the night and prevented from listening to the radio or reading newspapers. Sometimes our water system would be shut off. The detention centre held roosters which crowed loudly until 2AM before starting again at 6AM causing insomnia for many inmates. Prison authorities thought of every possible way to cause discomfort to both physically and psychologically debilitate us. Even with the ongoing harassment and intimidation, it was my faith in Christ, in the cause that helped me continue and overcome everything. After I was arrested, various international governments and organisations pressured the Vietnamese authorities to release me. The United Nations Working Group on Arbitrary Detention also released a decision calling on my immediate release and demanding for my compensation. 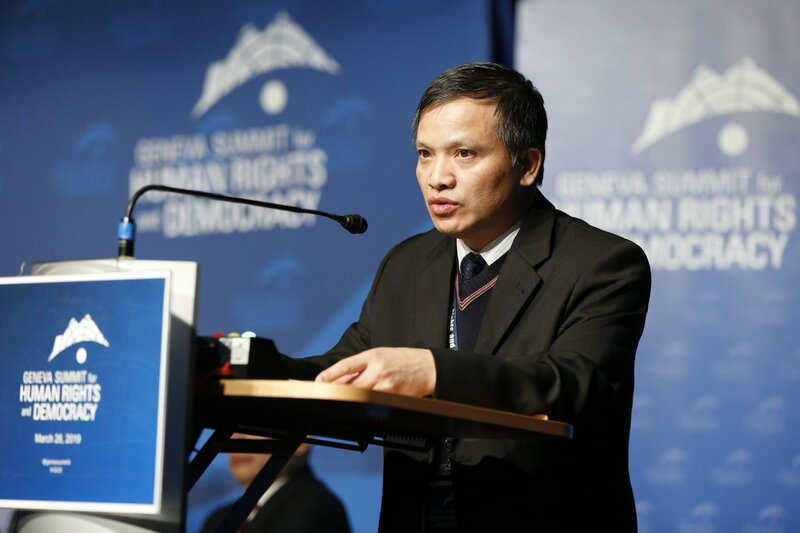 With ongoing international pressure from Germany, the EU, the United States and other countries as well as organisations, the Vietnamese government had to agree to release me on the condition that I would never be allowed to return to my homeland placing me as a political refugee in Germany on 7 June 2018. Even while living in Germany, I am continuing my work to mobilise the Vietnamese people to continue advocating for their fundamental rights to help build a sustainable democracy in Vietnam. And that is my story ladies and gentlemen. I hope you will continue to support the human rights and democracy movement in Vietnam.